Today’s guest letter is partially republished with the permission of Aaron Yavelberg of the blog Sleeping On The Edge. We highly recommend giving Aaron a follow on either WordPress, or Twitter. 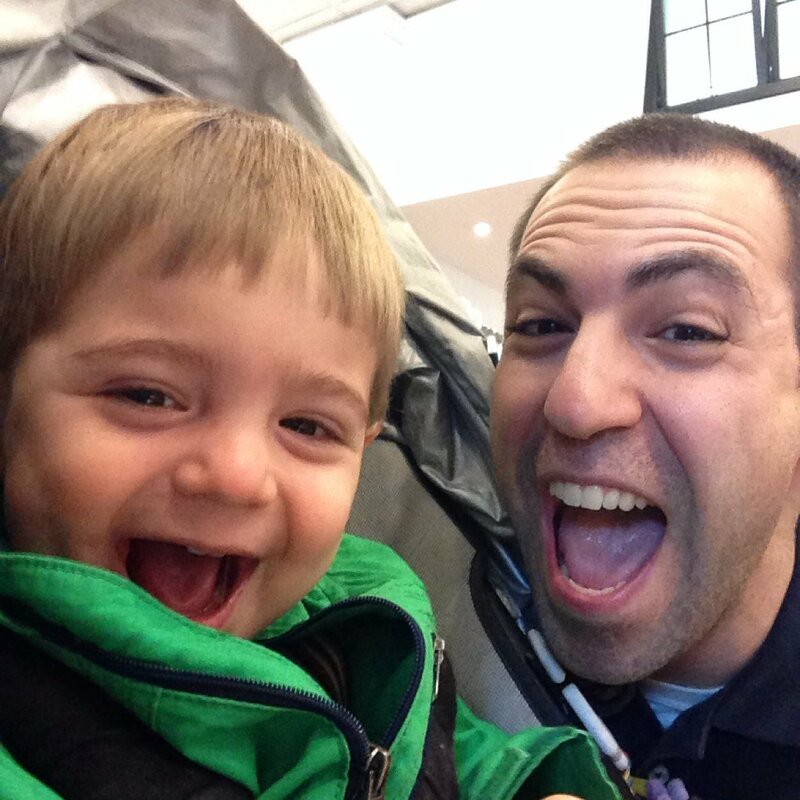 About Aaron: Aaron Yavelberg is, in no particular order, a father, husband, son, brother, cousin, friend and social worker. He will always be a Chicago sports fan, no matter how difficult the Cubs make it to remain loyal, and will do everything in his power to keep his son from becoming a New York fan. Aaron lives in Queens, New York, with his wife and son and is becoming increasingly more adept at staying in bed at night, despite his sleeping son’s best efforts to push him out. Last week was my birthday. I turned 31 on Thursday and, even though we didn’t celebrate much on the day itself because I have late home visits on Thursdays, your mom made a fantastic dinner on Wednesday night and we celebrated some more over the weekend. You got me a card, made me a sign that said “Happy Birthday Daddy” and gave me a collage of photos of the two of us, all of which helped to brighten up what was otherwise a fairly gloomy day. So I wanted to say thanks for that. This letter is not going to be a contemplation of my mortality or of time slipping away from me. I’m getting older, but I’m not old, no matter what your uncles and certain other friends of mine try to tell me. Instead, I wanted to write to you about perspective. I’ve written about this in the past, but there was something that happened that made me want to bring it up again. This post will be different, I promise. Someone very close to me reached out to me last week because she was having a rough time. She needed someone to talk to about some things she’s dealing with in her life and she chose me. We texted back and forth for a while as I did my best to answer her questions and gave her some small pieces of advice but it was the start of the conversation that really stuck with me. She opened up by asking me how I viewed her and what I thought of some of the decisions she has made during her life. This wasn’t like that friend of mine I mentioned in the other post, who was looking to me for advice about how to prepare for the birth of his first child. This wasn’t someone picking my brain. This was someone who was in real pain and was looking for help and she had essentially just asked what I thought of her. I told her that everyone faces adversity at some point or another in their lives and that people deal with those challenges as best they can. I told her that everyone makes mistakes and that the key is how people learn from those mistakes. Most of all, I told her it’s not my place to judge her. Next Post: I Wish I Was Single…?